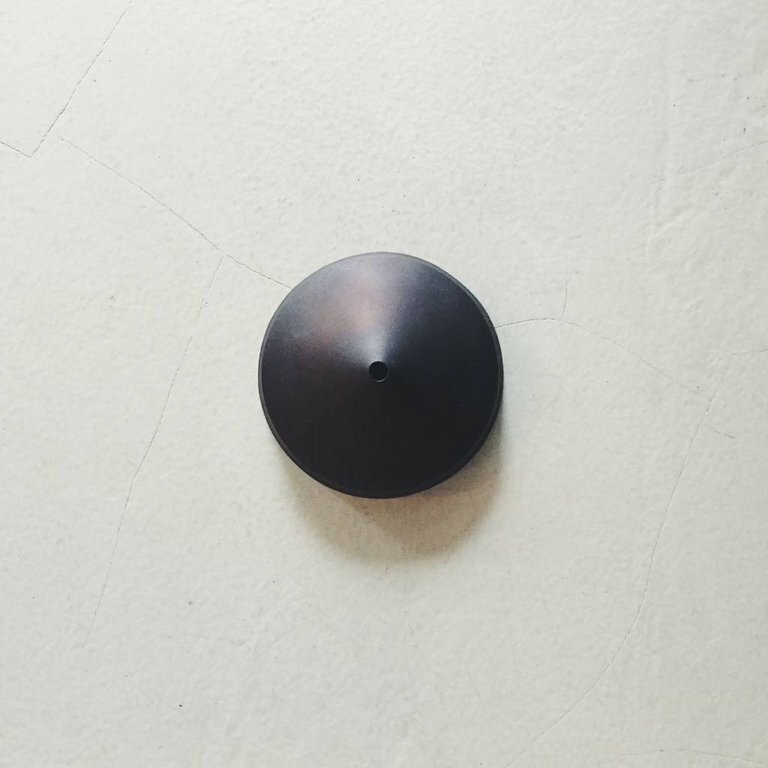 This handmade brass ceiling cup matches all Futagami Kuro Muro pendant lamps. 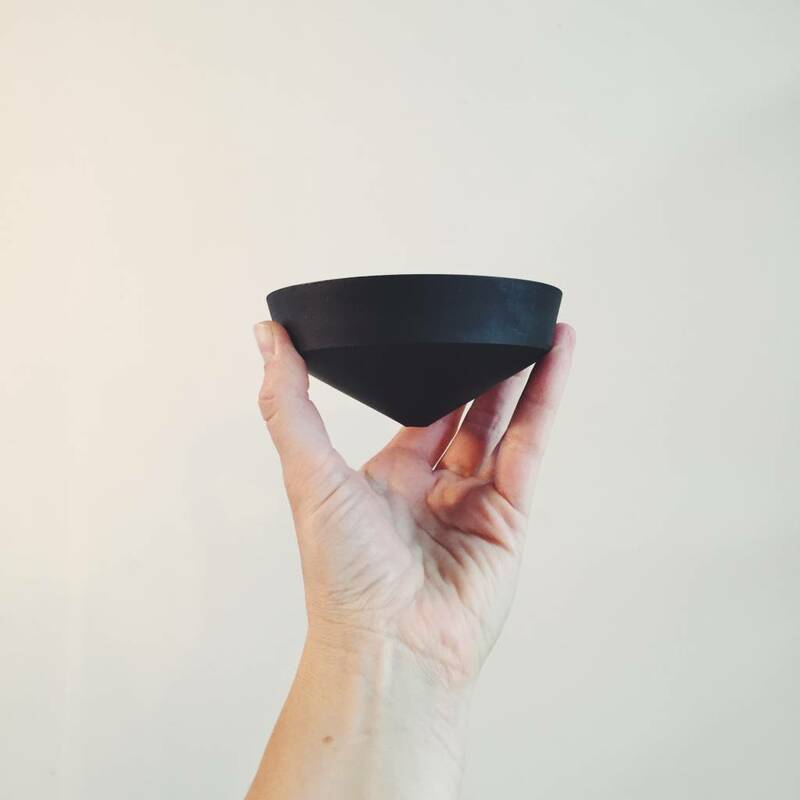 This ceiling cup matches all Futagami Kuro Muro pendant lamps. The canopy is designed for European and American standards. 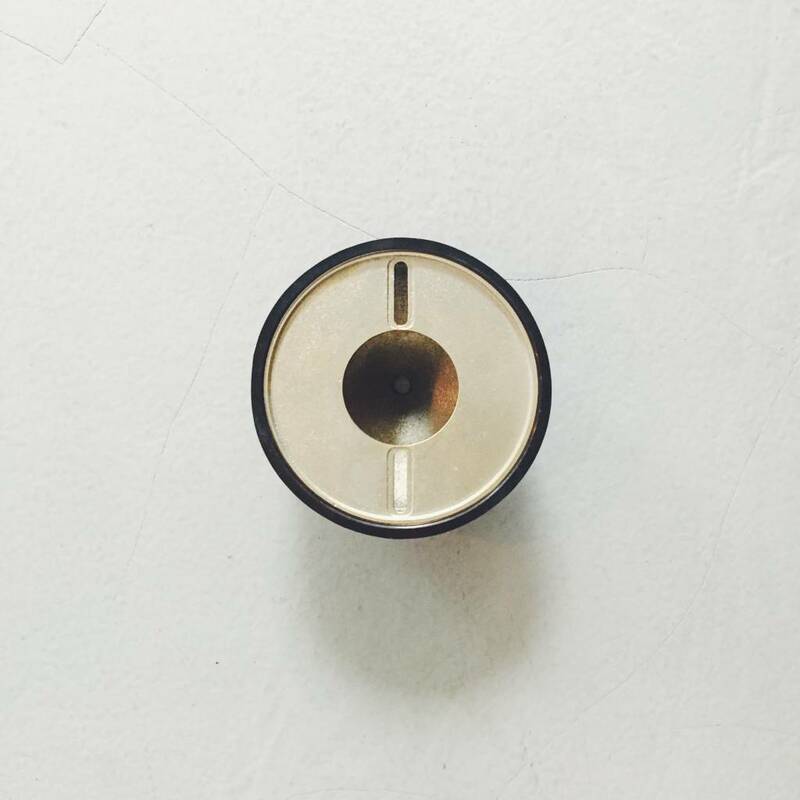 This product is made of solid brass with no pleating nor painting. The interior has a bright polish at first, but the color gradually gets darker to show a distinctive patina due to oxidization. If you prefer the bright look, you can always polish it to bring back the original color. The black exterior of the lamp is the result of a special Japanese technique named Kuro Mura. This is a black coloured version of the IHADA brass and it shows a warm texture. 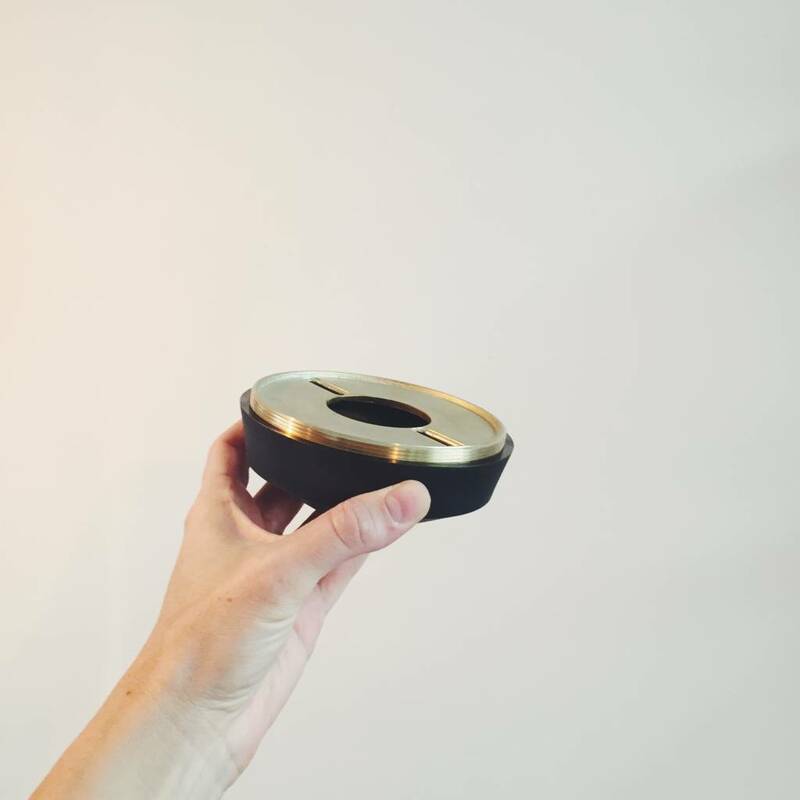 This product is designed by Oji Masanori, an awarded Japanese designer of household objects. It is made in a brass foundry established in 1897 in the city of Takaoka, Japan. To create the hooks, melted brass is poured into molds made out of hardened sand. The molds are then cracked to remove the cast brass hooks. Then the product is filed and sanded to create a semi-smooth sandy and unique surface, called Ihada. In order to bring back the original bright polish, you can use a cloth and polish made for brass. Wash afterwerths with a dishwashing detergent, then rinse with water and dry completely. What a beauty! This handmade multifaceted brass lamp gives a warm and intense reflection of light. Its diameter is ø 19,8 cm. What a beauty! This handmade multifaceted brass lamp gives a warm and intense reflection of light. Its diameter is ø 15,6 cm. What a beauty! This handmade multifaceted brass lamp gives a warm and intense reflection of light. Its diameter is ø 135 / 110 mm x h 110 mm. Use these handmade brass bean hooks to adorn your furniture or place them in the wall to hang your favorite scarf or necklace.